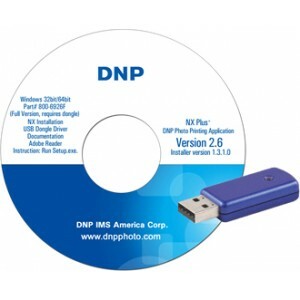 DNP NX Plus+ is the newest in self-order prints software from DNP. This retail-savvy software turns any PC and DNP printer combination into a self-service kiosk solution. The intuitive interface lets customers easily liberate their cherished photos from digital storage and transform them into beautiful prints. DNP is helping to redefine the retail print business with a cost-effective solution in NX Plus+. The same high-quality DNP instant photos along with a fun user experience that is sustainable and low investment to you, the retailer, are the building blocks of NX Plus+. All of the "must-haves" are built into NX Plus+ including a variety of printing options, automatic image correction, color adjustment and various creative projects such as borders, stamps, collage, and drawing. NX Plus+ software is scalable. Start with our most economical RX1 printer configuration, offering 4"x6" and prints up to 6"x8" enlargements. If faster printing speeds are required, utilize our award-winning DS40 printer. As your business grows, add our DS80 printer for 8" enlargements. NX Plus+ is another way to let retailers offer Digital Prints on Demand™. Drive demand for higher-margin creative products with borders, stamps, collage, and drawing. NX Plus+ installs easily to any OS support system to be as flexible and cost-effective as you need it to be. NX Plus+ grows with your business and is scalable. Picture perfect enhancements are already built-it — brightness, zoom, rotation, positioning, color adjustment, and auto image correction.